Alphatron Marine, whose headquarters are in Rotterdam, was founded in 1989. Today, Alphatron Marine employs nearly 300 people globally and is a world renowned supplier of integrated bridge solutions and manufacturer of a unique range of products which are complementary to the JRC portfolio. JRC, founded in 1915, is a world leading marine electronics producer specializing in the design and manufacture of industry compliant products. A fully auto-cad supported engineering and 3D design and proposal team takes care of all new building projects and the day-to-day installation work of our navigation and communication equipment. A full product range of bridge electronics is offered for different maritime markets, such as deep sea, inland shipping, yachting, offshore and fishery. 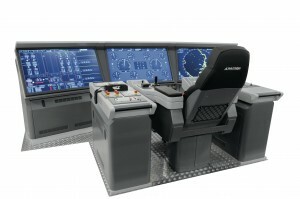 The unique Alphabridge concept consists of a vast library of modular interchangeable consoles, thus providing custom made bridges to suit all requirements and at the same time achieving shorter delivery times. Through a dedicated central service department 24/7 service availability is offered worldwide. Ship owners who want no surprises in future bridge maintenance can opt for the comprehensive Alphatron Marine Global Service & Maintenance Contract. For a better understanding on board we have a certified training department providing customers with both operational and technical training for all equipment in our portfolio. Besides JRC and Alphatron Marine products, we also support other manufacturer’s products such as: Cobham, Transas, Intellian, Böning, Skipper, Autronica, Yokogawa and Netwave. Additionally we have a specialized department in integrating technology in the field of complex IT solutions and IP entertainment and infotainment. With Centers of Excellence in Tokyo, Rotterdam, Singapore and Houston, the combined synergies of Alphatron Marine and JRC bring quality and innovation to owners, operators and shipyards, redefining the future of ocean navigation. With many other offices around the world located close to the worlds biggest ports we are always nearby. We are authorized to carry out class survey work for (the renewal of) Radio Safety certificates for Lloyd’s Register (LR), Bureau Veritas (BV), Det Norske Veritas (DNV), Germanischer Lloyd (GL) Nippon Kaiji Kyokai (NKK), Korean Register (KR), American Bureau of Shipping (ABS), Class NK en RINA.